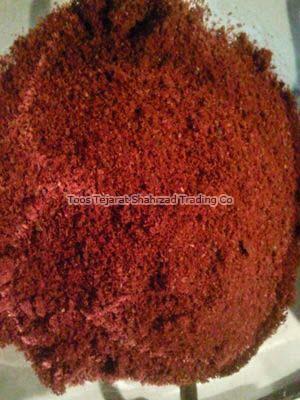 Our company stands as a recognized Manufacturer, Supplier and Exporter of Sumac from Mashhad, Iran. A popular spice in the Middle East, our Sumac is appreciated for its delicious taste and high nutritional content. Different parts of Sumac are used for creating medicines, dyes, oil, etc. Owing to our efficient logistic system, we ensure that customers all over the world receive their order of Sumac within the promised time. The fruit has a sour taste; dried and crushed, it is a popular spice in the Middle East. Immature fruits and seeds are also eaten. The leaves and the bark were traditionally used in tanning and contain tannic acid. Dyes of various colors, red, yellow, black, and brown, can be made from different parts of the plant.